Looking at interior designer Kelly Healy’s work, you may notice her thoughtful mix of pattern and texture, or how each space effortlessly balances feminine and masculine charms. Perhaps it’s the way she layers neutrals to feel fresh and appealing, rather than bland and boring. While each space is unique to her client’s needs, the common thread in Healy’s design work seems to be her ability to create simple yet intentional spaces that are true reflections of the people who live there. Healy arrived in the interior design world indirectly, having worked on the business side of the fashion industry in Manhattan before choosing to harness her creativity in a more expressive way. She worked for Katie Lydon Interiors in New York City and later graduated from Parsons. Eventually she moved to New England, and today is the founder and principal designer at her Ipswich, Massachusetts-based firm, Belhaakon. 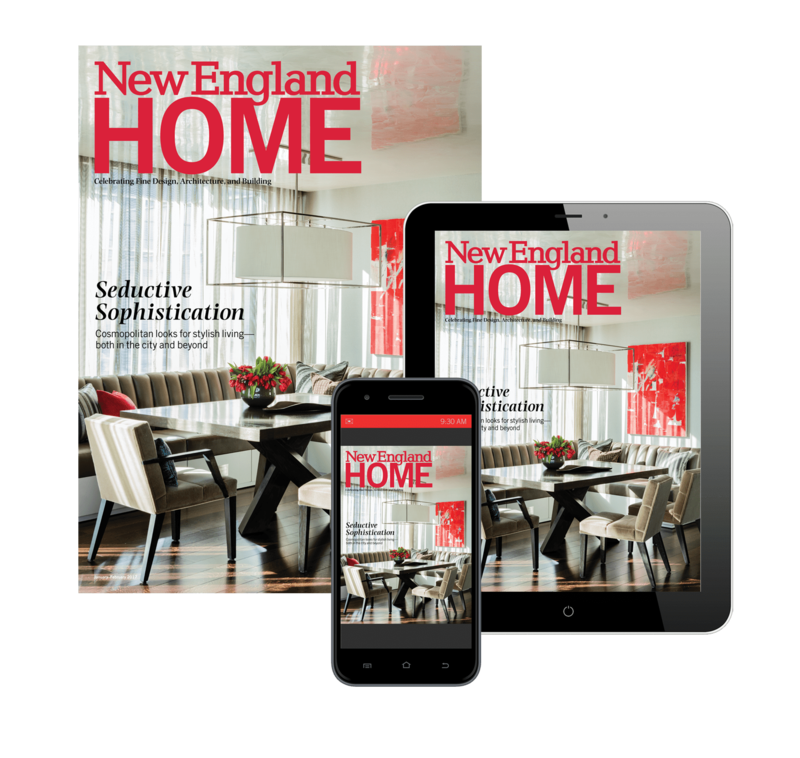 New England Home’s 5 Under 40 awards celebrate our region’s finest emerging talent in residential design. The honorees—all of whom are under the age of forty—were nominated by their peers and then selected by a committee of local design leaders. The 2018 celebration will take place September 13 at Landry & Arcari Rugs and Carpeting’s Boston showroom. The event is open to the public, please join us by purchasing your tickets here.